That is, if you purchased it on the Nintendo eShop. 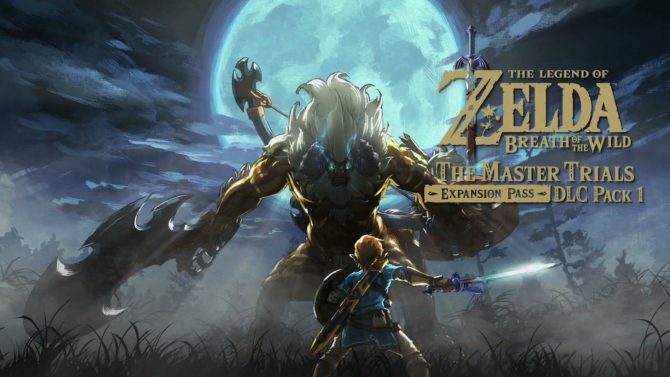 The Legend of Zelda: Breath of the Wild’s first major DLC The Master Trials will be releasing on June 30th but those who purchased it on the Nintendo eShop can get it sooner. A Nintendo spokesperson told GameSpot that The Master Trials DLC would unlock at 9 PM PT/12 AM ET for United States players. The Master Trials is part of the $20 Season Pass for the game and not sold separately. It contains Trials of the Sword which offers a 45 room gauntlet where players start off with no gear and must fight their way through. The main challenge is powering the Master Sword. There will also be a tougher difficulty, an item that can create a fast travel point wherever players decide, a map for tracking all the places you’ve traveled, masks and much more. Breath of the Wild’s second DLC will be Champions’ Ballad that offers new story focusing on the four Champions. We’ll find out more details in the coming months so stay tuned.